I like to call this one my “Rodent of Unusual Size,” but, in fact, she is a bunny. A cute bunny. 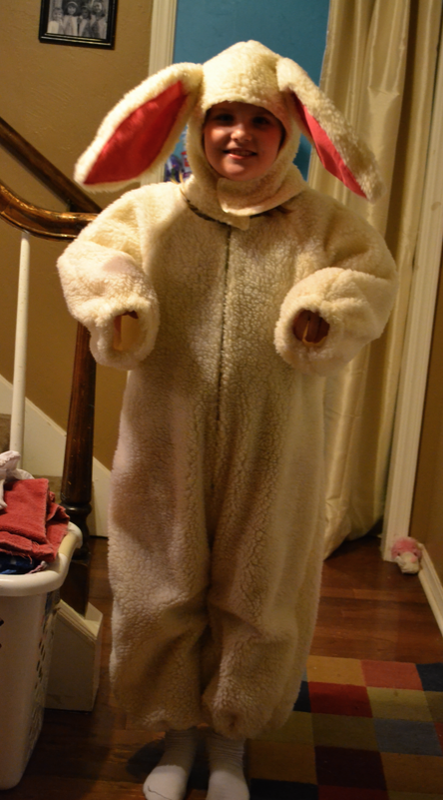 A woodland creature from the land of Narnia bunny. Because the school Narnia festival is tomorrow and I finished her costume exactly seven minutes ago. I also signed up to man the 4th grade class for 30 minutes in the morning plus take pictures of the festival for the yearbook BEFORE Baby M joined our family. So now I’m going to be navigating this with a 3yo and a 5 day old. Wowza. Here we go.